Superdry women's linen utility shorts. Combining style with comfort, these linen utility shorts are a must have update to your wardrobe this season. 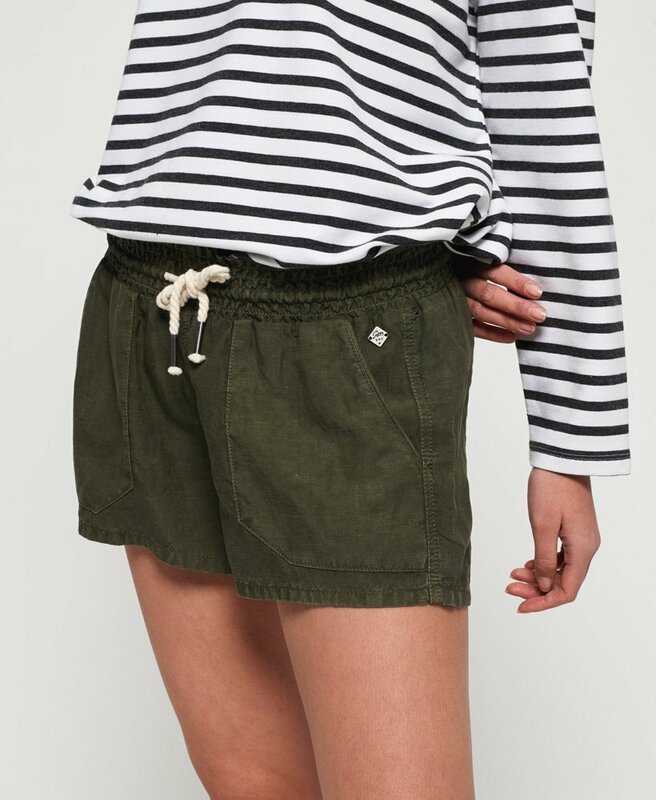 Featuring a rope effect drawstring waistband, two front pockets and two back pockets. A small metal badge under the waistband provides the finishing touch. Pair with a cami top and wedges for an effortlessly stylish look.